There was a blow for Harrow Labour yesterday when a key player in the Hindu community and longtime Labour supporter defected to the Conservatives – despite nominating Tony McNulty just days ago. As the Harrow Times reports, so-called community leader Kanti Patel has written a letter claiming to have lost faith in Labour and criticising Tony McNulty for his record on expenses. Despite signing McNulty’s nomination papers so that he could stand as the Labour party candidate for Harrow East, Patel said he had switched allegiance because the Tory party was more diverse. He said he will be encouraging Harrow’s Hindu community to vote Tory because ‘Tony McNulty has lost the trust of the people who elected him’. Patel, who has been a labour member for more than 40 years, also posed for a photograph with McNulty’s nemesis, London Mayor Boris Johnson. In other news, McNulty and Johnson carried on trading barbs. Earlier this week the mayor called for ‘a long period of silence’ from McNulty. Yesterday, the favour was returned as McNulty said Johnson was ‘resorting to personal abuse’ so he could ‘detract from the questions he cannot answer on the police’. Know who you are voting for on May 6th or haven’t got a clue? 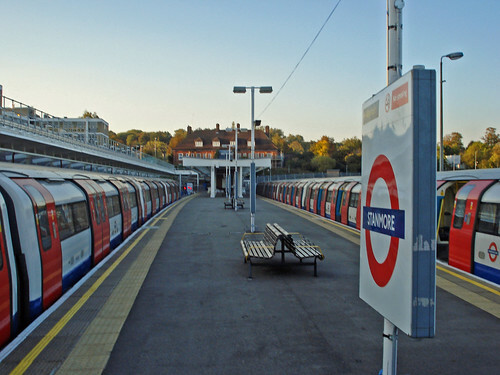 Take the Stanmore Politics opinion poll here. The Mayor of London, Boris Johnson, will be travelling north bound this evening for a ‘People’s Question Time’ at Harrow School. He will be joined by Navin Shah, Brent and Harrow’s London Assembly Member (and incidentally, the man who took over from Harrow East Tory candidate Bob Blackman) and Dareen Johnson, Chair of the London Assembly. Tickets are sold out, but you can watch the whole shebang on your computer here. The panel will be discussing topics including policing, the environment at the 2012 Olympic Games in London. Also up for discussion will be transport. Perhaps Johnson will have tried using the Metropolitan line to get to Harrow this week. If so, I’d imagine the audience will be waiting some time for him to appear; there have been severe delays on the line the last few days due to works between Aldgate and Moorgate.